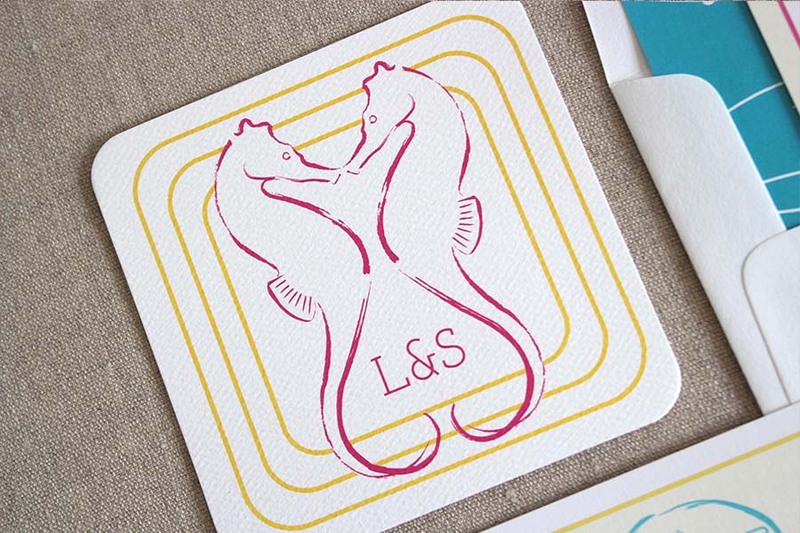 Watercolor Seascape: Designed with the destination wedding in mind, this suite features hand-drawn sea life. 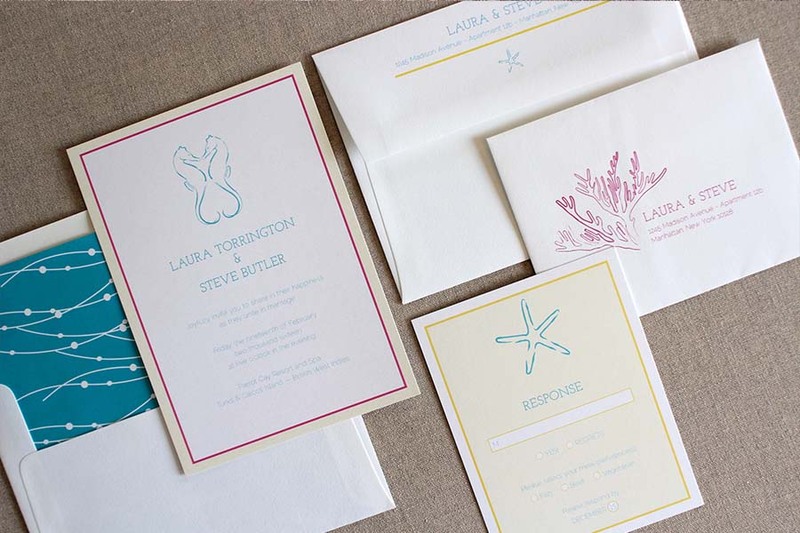 Now offered with digital printing. 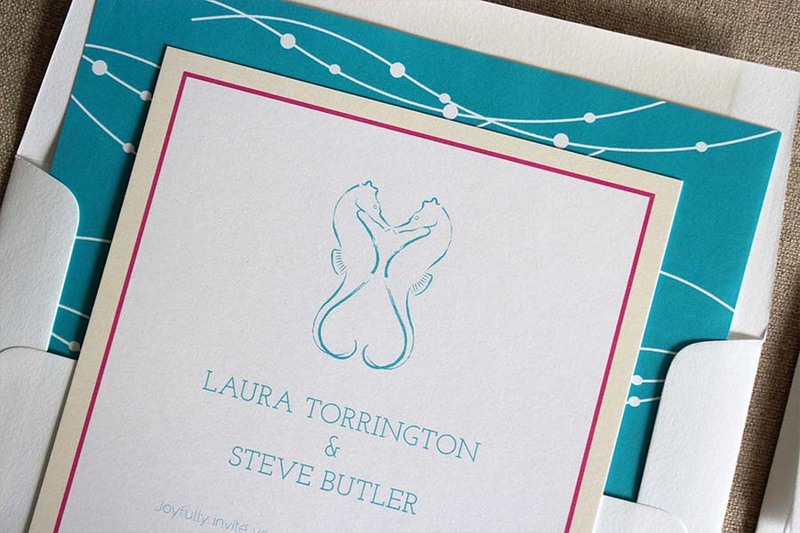 It features bold pops of color and clean type to keep the feel modern and fresh. 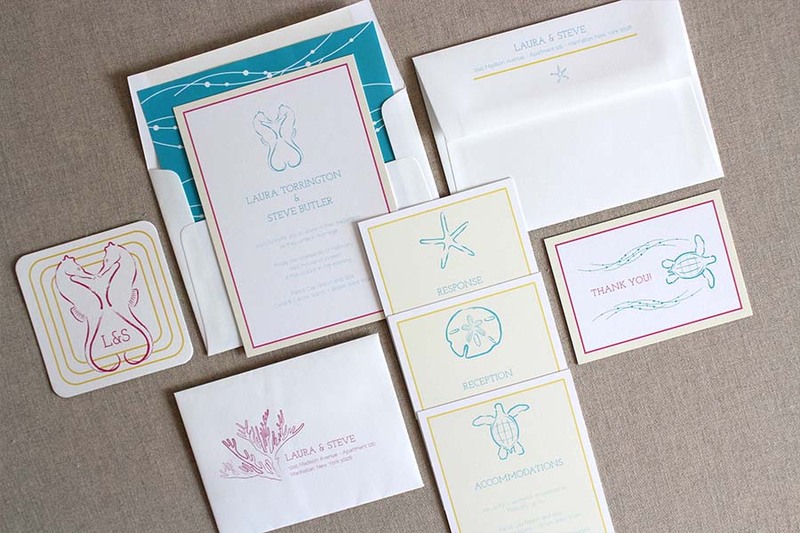 Seahorses, starfish, sea turtles and sand dollars mix and match to make a whimsical caribbean feel. Matching coasters, tags and thank you cards complete the set.